The Shoviv GroupWise to Exchange Migration is the best shortcut for mail migration. However, it does not take a shortcut for GroupWise to Office 365 migration process. In fact, it has got the best features in its bag for a detailed process and yet the fastest results. This GroupWise to Office 365 migration tool handles emails, contacts and mailboxes equally well. The added advantage is that the user gets the result in much lesser time than expected. The fast speed is possible since it comes with an advanced algorithm. This lets it carry GroupWise to Office 365 migration with multiple files in record speeds. No matter how technologically advanced a tool may be, it is of little value if every client cannot use it. The GroupWise to Office 365 migration tool by Shoviv lets you work easily with it. It works regardless of the level of your technical knowledge. The user-friendly graphical interface is for every kind of user willing for GroupWise to Office 365 migration. You have to be neither a technological expert nor a regular mail conversion user to operate it. This GroupWise to Office 365 migration tool is compatible with a wide range of clients. It recognizes Novell GroupWise, MS Outlook, MS Exchange server, and their various versions. It is also compatible with Windows Operating system as well. Its GroupWise to Office 365 migration service is safe as well as fast from the source to the target. This GroupWise to Office 365 migration tool can export data to many Exchange server versions. These versions include 2003, 2007, 2010, 2013, and 2016. It is capable of migrating archived data from Office 365. It also migrates data from Exchange server mailbox. Provides various format options for saving files i.e, EML as well as MSG. The data migration to Exchange server as well as Office 365 public folder takes place easily. This GroupWise to Office 365 migration tool does the same for archive mailbox as well. It can work with all the versions of GroupWise mail client- 5.5, 6.5, 6.0, 8.0, 7.0, 2012, 2014, and 18.0. This GroupWise to Office 365 migration method is valid for all Windows versions. It comes with a free trial version with the capacity of 25 items per folder. Free technical support 24*7, all around the year. Free Consultant service 24*7 for all clients. Shoviv GroupWise to Office365 migration tool uses the best technology to provide the fastest results. The simple GUI and safe environment allow fast GroupWise to Office 365 migration. The entire process remains smooth and free of technological glitches. The GroupWise to Exchange Migration tool works for GroupWise to Office 365 migration. 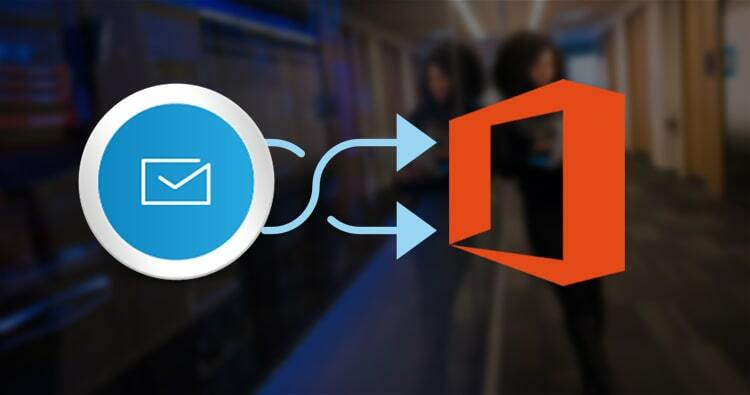 This tool provides the user with full-fledged access to all Office 365 mailboxes. Using the mapping option, you can migrate & export those mailboxes too. It works by mapping the source GroupWise mailboxes to target mailboxes. Automatic as well as the manual method works flawlessly for mapping. The option of GroupWise to Office 365 migration into Public Folder and Archive Mailbox is also available. This GroupWise to Office 365 migration tool also provides access to the powerful PST format. Single, as well as multiple GroupWise to Office 365 migration of files, is possible with this tool. An option of creating Unicode and non-Unicode PST files is also available while exporting. This feature is essential in the age of global communication via emails. The GroupWise to Office 365 migration tool easily splits large PST files. The number of files they want to split PST into depends on the need of clients and is convenient with this tool. The GroupWise files can establish connectivity through various options. This GroupWise to Office 365 migration tool offers a horde of options. The GroupWise files can connect via a. default, b. include proxy, c. remote mailbox path, d. online, e. cache mailbox path. These options come handy according to the need of the situation. You can migrate GroupWise files to Live Exchange with this GroupWise to Office 365 migration tool. The mapping of GroupWise mailboxes to target Exchange mailboxes makes this possible. It can take place in automatic as well as manual method, whichever the user prefers. You can migrate GroupWise mailboxes to archive and public folder. You can also migrate to the Live Exchange server with full accuracy. This GroupWise to Office 365 migration tool also provides the option of saving data into other formats. You can save the data into MSG as well as EML file formats with absolute precision. Data screening option or preview of data is another beneficial feature of this tool. Using this GroupWise to Office 365 migration tool, one can preview data before migration. This facility is quite useful as it lets the client become stress-free. You don’t have to worry about the details of the converted data. Once the preview is over, the user can go about the GroupWise to Office 365 migration carefree. Post the GroupWise to Office 365 migration, one can use the folder mapping facility. It is useful while migrating GroupWise mailboxes to PST/Live Exchange Server/Office 365. It helps in changing the name and location of folders. This facility is available for both- source as well as target folders. With this GroupWise to Office 365 migration tool, it is easy to search out files when needed. Instant results in file search are available by this tool using many criteria. For instance, the client can use criteria like to, from, cc, bcc, item type, attachment name etc. This powerful data filter option also lets the user find out files based on date range. It makes dealing with the huge number of files quite easy as the user does not have to go deep into the database for search. It is not unusual for people to feel caught up with the wrong tool after they bought a particular tool. Keeping the comfort of our users in mind we have prepared the GroupWise to Office 365 migration tool. We designed the GUI useful for all kinds of people- regardless of their level of technical knowledge. Other than being easy to use, GroupWise to Office 365 migration tool comes with an easy return policy. Even a money-back guarantee comes in case the client finds the performance unsatisfactory. So you do not have to worry about investing your money into the wrong tool. This GroupWise to Office 365 migration tool offers an instant delivery system. So what are you waiting for? Order right away! It is always a wise choice to the first test out the tool you would be spending money into. We understand your need to have the first-hand experience of the features of the tool. The GroupWise to Office 365 migration tool offers this benefit. This is why we provide you a free version of the tool. It comes with the capacity of 25 files per folder at once and serves flawlessly as a model of the full version. So try it out today and let us know of your experience. If you want to test the free demo version right now, click here.